High blood pressure, or hypertension, puts our health at serious risk. The pressure rises during the narrowing of the arterioles, as this makes the heart work more difficult. The consequences of hypertension are varied: from heart failure to stroke and heart attack. If you do not know about the presence of hypertension, the likelihood of a heart attack or stroke increases by 60%. Hypertension is almost asymptomatic, so in most cases it goes unnoticed. Identify the problem already when there are serious health problems. According to statistics, more than 31% of the population suffers from high blood pressure. About 16 million people are not even aware of the presence of hypertension. There is a certain genetic predisposition to hypertension. Recent scientific studies have shown that some genes undergo mutations, and this affects the regulatory effect of the kidneys (and their excretion of salts). But blood pressure rises not only for this reason. It is very important to adhere to proper nutrition and lead a healthy and mobile lifestyle. Hypertension has its own characteristics in each case. However, there are common risk factors contributing to high blood pressure. Most of these factors are related to our daily habits. Recent studies have shown that people who are overweight or obese tend to increase their resistance to blood vessels, so their heart has to work with great effort. Losing excess weight will lower blood pressure and reduce the risk of developing cardiovascular diseases. Excessive alcohol consumption, smoking, excess salt in the diet and lack of physical activity contribute to high blood pressure. The sedentary lifestyle, which is so deeply rooted in modern society, also has a negative effect on the body. It increases the incidence of hypertension, both among adults and among young people. If you want to protect yourself from this condition, try to train every day. For example, you can start with half-hour walks, and then gradually add cardio exercises to training. Make sure your diet is balanced and as healthy as possible. Prefer fresh fruits and vegetables, whole grains, and low fat foods. 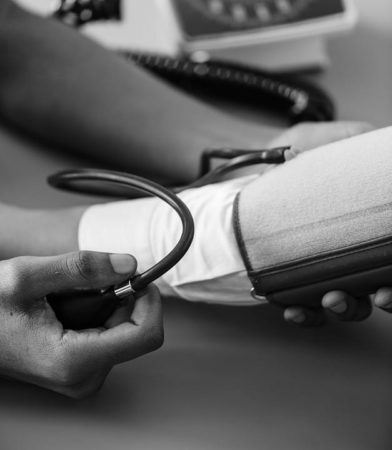 Clinical studies have shown that such strong emotions as anger, irritation and anxiety are also directly related to an increase in blood pressure. So, watch your emotional state. High blood pressure can be associated with chronic kidney disease, thyroid problems, diabetes, and sleep apnea. Some studies have noted that 10% of people suffer from so-called secondary hypertension. That is, in their case, high blood pressure is caused by another clinical condition. Some medications (for example, hormonal contraceptives or anti-asthma drugs) may also contribute to an increase in blood pressure. Some nonsteroidal anti-inflammatory drugs, antidepressants and analgesics can also be triggers. This is because such drugs change the balance of sodium and fluids that exist in the human body. Imbalance, in turn, leads to a narrowing of blood vessels and hypertension. People over 40 years old are more prone to hypertension. With age, the blood vessels weaken and lose their elasticity. Arteries also change, they become less flexible, which causes the heart to work with double force. Just as any other muscle behaves when the load increases, the heart increases in size to cope with the extra work. But the larger the heart becomes, the more blood and oxygen it needs. In doing so, he will not always succeed in maintaining blood circulation at an appropriate level. That is why it is so important now to pay attention to your lifestyle and make some adjustments to it if you are worried about high blood pressure. Try not to eat convenience foods and fast food, limit salt intake. Reduce alcohol consumption and try to smoke less every day. It is possible to control blood pressure if you change your habits, take the necessary medications and follow the doctor’s instructions. Do not forget that hypertension may not cause you discomfort, but this condition is very serious, and you need to treat it accordingly.